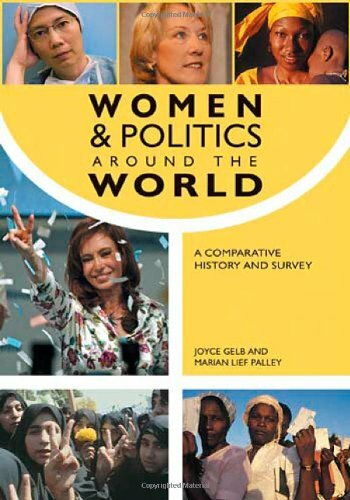 [PDF] Women and Politics around the World: A Comparative History and Survey 2 volume set | Free eBooks Download - EBOOKEE! Description: Women and Politics around the World: A Comparative History and Survey is an exploration of the role of women in political systems worldwide, as well as an examination of how government actions in various countries have an impact on the lives of the female population. Women and Politics around the World divides its coverage into two volumes. The first looks at such crucial issues facing women today as health policy, civil rights, and education, comparing conditions around the world. The second volume profiles 22 different countries, representing a broad range of governments, economies, and cultures. Each profile looks at the history and current state of women's political and economic participation in a particular country, and includes an in-depth look at a representative policy. The result is a resource unlike any otherone that gives students, researchers, and other interested readers a fresh new way of investigating a truly global issue. 2017-10-19[PDF] Vegan Lunch Box Around the World: 125 Easy, International Lunches Kids and Grown-Ups Will Love! No comments for "[PDF] Women and Politics around the World: A Comparative History and Survey 2 volume set".